To celebrate International Zoo Keeper Day, we thought we would give you a little insight into one of the most interesting animals on the entire globe: the wildlife keeper. Lucky for us, Sir David Attenborough himself popped by and narrated this incredible segment about our wildlife keepers. Thanks Sir D… we owe you one! What Is International Zoo Keeper Day? International Zoo Keeper Day was declared on October 4 2015 by the International Congress of Zookeepers. The day recognises the fantastic contributions of zoo keepers in caring for and contributing to the conservation of exotic animals. The date October 4th was chosen for International Zoo Keeper Day as it is celebrated worldwide as the Feast of Saint Francis of Assisi. St Francis is the patron saint of animals and environment. What Is It Like To Be A Zoo Keeper? Ever wondered what its actually like to be a wildlife keeper? 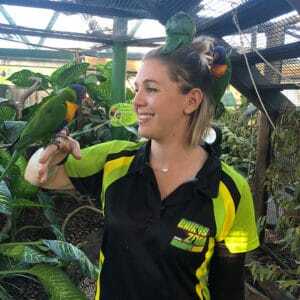 We sit down with Cairns Zoom’s Assistant Manager and Wildlife Keeper Stacey and get all of the inside goss. Describe what its like to be a wildlife keeper in 3 words? Which animal at Zoom do you feel is your spirit animal? I think it would have to be Goliath our Estuarine Crocodile. Swimming and sun baking all day is my idea of a good time. What’s the most disgusting thing you’ve ever had to do as a wildlife keeper? I really don’t think you want to know the answer to that one! 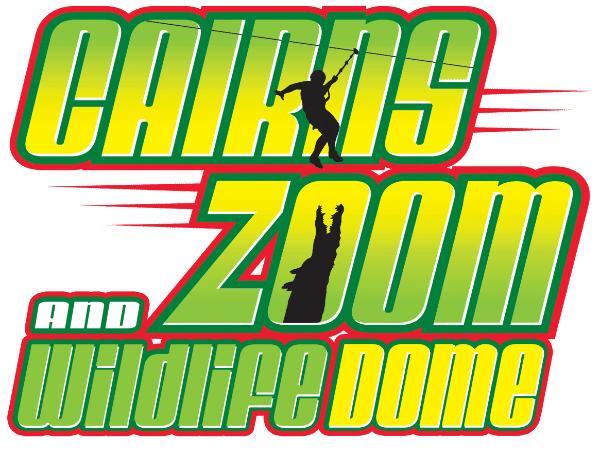 Who is the best behaved animal at Zoom? That would have to be Wilson the Carpet Python. He’s the friendliest snake who loves nice warm cuddles and loves meeting visitors. Who is the naughtiest? What’s the worst thing he/she has done? Definitely Jojo the Sulfur Crested Cockatoo. Jojo likes to ‘help’ the keepers clean his enclosure by stealing and hiding their equipment! What’s the best thing about being a wildlife keeper? That your job, most days, doesn’t feel like a job. It’s the days when you see the difference that you make in your animals lives, when you see how your passion for your animals transfer to guests, and of course the animal cuddles! If you weren’t a wildlife keeper, what would you be? I can’t imagine being anything else! But when I was younger I also wanted to be an Archaeologist. If you could meet any animal in the world, what would you choose? What’s the cutest baby animal you’ve ever seen? What’s the most interesting fact you know about one of our Zoom residents? – That Koala Joeys need Pap (mums poo) in order to eat eucalyptus leaves. – and that if I don’t give Jojo cuddles he screeches up a storm! This entry was posted in Park Diary, ZOOM Blog and tagged wildlife keepers.